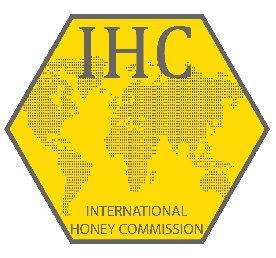 The International Honey Commission (IHC) was formed in 1990 in order to create a new world honey standard. All modern routine honey analysis methods were collaboratively tested and compiled as "Harmonised methods of the European Honey Commission", published in Apidologie, extra issue, 1-59, 1997. Based on these method the Codex Alimentarius Standard and the EU Honey Directive were revised. Next, the major European unifloral honeys were characterised in a special issue of Apidologie (2004), allowing the international trade with these honeys. In 2009 the „Harmonised methods“ were updated. Presently the IHC is chaired by Gudrun Beckh, Germany, co-chairs are Teresa Sancho, Spain and Ligia Bicudo de Almeida Muradian, Brazil. Do you like to join? Here you may find our membership form - please fill in the personal data and your skills. If you need more space, please feel free to use it - it is a word document, so you are able to change. We are looking forward to hearing from you! Welcome on the Homepage of the International Honey Commission (IHC).